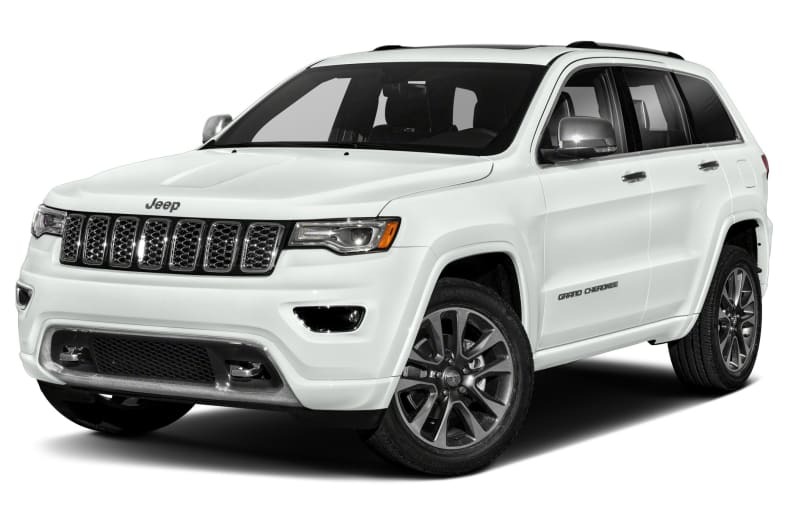 Handsome and capable, the Jeep Grand Cherokee can easily pull off luxury for the family, with refined handling and ride. It's also a wilderness trekker for adventuresome people and a tow vehicle for summers with the boat or horses. It can also be a hotrod SUV. Multiple powertrains, some of them incredibly powerful, are available, along with a choice of all-wheel-drive systems to manage conditions ranging from ice and snow to boulder fields. 2018 is the eighth model year of Grand Cherokee's fourth generation, so it's undeniably old by car years. A new 2018 Grand Cherokee Sterling Edition celebrates 25 years of the Grand Cherokee. And it had to happen, the car world would be remiss if it didn't: an SUV with the power of the ultimate muscle car. The muscle car would be the 707-horsepower Dodge Hellcat with its 6.2-liter supercharged V8 engine, and now we have the identically powered 2018 Jeep Grand Cherokee Trackhawk. Naturally its drive components are bulked up, including the transmission, suspension, brakes, cooling system, and all-wheel-drive system, The Hellcat can go 180. It's sleek compared to the Jeep, but Chrysler says the Trackhawk can go that fast too. What's even more impressive is how an SUV with that much power can be so tractable, docile and comfortable around the neighborhood. Most passengers in the Trackhawk will never guess it has that much power unless they are told or it's demonstrated to them by punching the throttle. Back in the mainstream, the base Grand Cherokee engine is a 3.6-liter V6 making 295 horsepower and 290 pound-feet of torque. It's strong at the low end, and responsive in the mid-range. It's EPA-rated at 19/26 mpg City/Highway, or 21 mpg Combined. All-wheel drive drops it by 1 mpg. The 5.7-liter V8 makes 360 horsepower, while its 390 pound-feet of torque carries it to a first in class in towing, with a capability of 7200 pounds. But even the V6 can tow 6200 pounds. Equipped with cylinder deactivation, the V8 is EPA-rated at 14/22 mpg City/Highway, or 17 mpg Combined. If it's towing and fuel mileage you care about, there's a turbodiesel 3.0-liter V6 making 240 horsepower and 420 pound-feet. It tows 7400 pounds, and is EPA-rated at 22/30 mpg City/Highway, or 25 mpg Combined with rear-wheel drive. With its big tank, the diesel has a range of 730 miles of highway travel. An optional air suspension can boost the highway mileage, by lowering the vehicle closer to the ground. Or it can raise it from 6.4 inches to 11.3 inches above the ground, for offroad around rocks.